It is amazing how our thoughts can own us. They can take over our affective states and disable our ability to function at a high level or even normally. Incessant thoughts bombard us at tremendous speed with each one vying for a piece of our attention. If our attention is too full the unnoticed thoughts burrow themselves into our subconscious waiting to be projected at a later time. Unfortunately, our "monkey mind" is patterned and habituated to run constantly and unabated. It is not helped by the fact that in our modern society, our mind space is under constant attack from external information and messaging. The only way reclaim our mind space is with a conscious practice that silences the mind, in other words, meditation. For many, the word meditation connotes Buddhist monks, hippies and new age yogis and that is unfortunate because meditation is probably one of the most beneficial tools available to humans looking to develop themselves (and improve their lives). 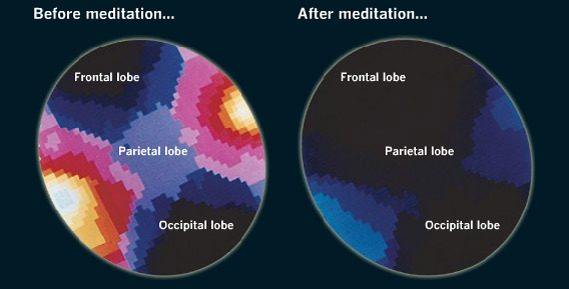 Meditation allows the brain to rest and renew itself, it helps us recognize and objectify the bombardment of thought-feeling running through us, and it helps us tap into intuition as a way of knowing. In short, it helps us develop as human beings.